Kiddich ahd arrived on earth, and was planning to find the dragonballs, and ake it over but first he needed to unlock his super Saiyan powers, and beceome stronger than he was. He wanted to fight somone strong, though he doubted he would find anyone on earth like that, especially not a human, but maybe he could find someone that was not an earthiling, and use them. He turned on his scouter, and began to scan the earea he was currently in for some strong pwower levels but found none. He then took to the skies, reading all the power levels as he flew utnil he finally found one, and landed in front of them. Well, well, well, seeing as your power level exceeds any normal earthling, I'm guessing you are not from this planet. You might make a nice little excerise for me. Kiddich said to the person he had approached. How about a little spar between me and you. It might actually help me, unless your too low of a scum to be worthy enough. He continued. He awaited a response from this person that he had never met. He didn't recognize from which planet he might have been from, or what his heritage might be, bt he didn't care. He would fihgt him anyway. He assumed his fighting stance, and then said to him Let's go! Kiddich had a feeling that this spar would help himin becoming stronger. The power level was greater than his, so it might be hard to win, and then under th stress, adn anger of loss, he might unlock his Super Saiyan powers, and then afterwards kill this man. Kazuya had just recently decided to spar someone, but at first he couldn't find anyone with a strong enough power level to take him on. He had been searching, and then finally found a strong power level that was only a little weaker than his, heading towards him, so he stayed where he was, and awaited for whoever this person, or even thing might be to show up, and hope they would want to spar, or even fight full force with him. It had been a while since Kazuya had a good workout, and he was ready to see some action. HE also hoped that this person would be strong enough to maybe push him a little, adn help him come closer to achieving his dream of one day being able to master the Super Iseijin form lvl 2, but first he had to master the Super Iseijin lvl 1 form, though he had not yet unlocked either form. He patiently waited for the possessor of the strong power level to approach him, which he finally did. Judging by the way he was dressed, adn the tail he had, he was a Saiyan. No wonder his power level is like that. Kazuya thought to himself. Well, well, well, seeing as your power level exceeds any normal earthling, I'm guessing you are not from this planet. You might make a nice little excerise for me. The Saiyan said to Kazuya. How about a little spar between me and you. It might actually help me, unless your too low of a scum to be worthy enough. He had continued. This Saiyan had perked Kazuya's interest, and he planned to show him a thing or two. KAzuya did not know if this saiyan, who looked to be around the age of only 16 or 17, had the ability to turn into a Super Saiyan, but he would find out in this spar. The Saiyan assumed his fighting stance, and said Let's go! KAzuya assumed his own fighitng stance, and prepared for a great fight. This boy had not said anything yet, but after assuming his fighting stance, Kiddich guessed it was safe to say that he was gooing to spar with him. Good, good. Kiddich thought to himself. He decided that he would make the first move in this fight, and charged at this boy. He did not yet know any of his weaknesses, strengths, or abilities, but he would soon find out, adn ocne he knew his weakness, he would exploit it as much as possible. He came up with a small, quick plan to test this boy, adn see how good he was. What Kiddich was about to do was not much, but it would let him know if this boy knew a thing or two, or if he was just an overgrown idiot like alot of humans on Earth were, though they are pathetic in reality. Kiddich attempted to kick the boy in the side of the face once he approached him, adn then he would sweep low, and knwock him off of his feet, and after that he would fire a chaos wave at the boy. If all wwent successfully, he might damage the boy enough to wear the fight would all ready be over, but if not, then he would have to ceom up with a new plan, and find out more about this boy in order to win him voer, and be the victor of this fight. Kazuya smirked right before the fight started. He was guessing that this Saiyan was pretty full of himself, adn had no idea what he was up against. The Saiyan charged at Kazuya, adn them attempted to kick him in the side of the face, which failed as Kazuya just ducked below it, and then jumped right in time like a frog leaping once it crouches, and dodged the sweep kick that Saiyan then tried to deliver. Kazuya sighed as he realized that this fight might not be much after all. while Kazuya was in the air, now flying after dodging the sweep kick from below, the Saiyan fired a blast that seemed to be exactly the same as his move called the Chaos wave, adn it turned out that it was. Kazuya decided to try and counter the chaos wave, with one of his won, and he quickly did the things neccesary, and shot ot a slightly bigger chaos wave at this Saiyan. They were now both shooting a chaos wave, though they were both different colors, and were pushing them at each oother, forcing power into the attack, and trying to beat the other. It was mostly even, and Kazuya just kept his chaos wave steady, and kept at it, adn waited to see what the Saiyan would do. He was not sure if he would actually try to push back with hs chaos wave, and hit Kazuya with it, or if he would try some sort of trick to escape, or do something to protect himself. He waited to see. Kiddich saw the boy smirk right before he had charged at him. He must feel pretty confident Kiddich thought to himself. Kiddich was angered, adn surprised at how quick, and agile this boy was, easily dodging his kick to the side of the face, and then jumping right before the sweep kick connected, dodging both kicks very easily. Tch! Kiddich was slightly angered at how skilled this young fighter was, but he still continued with the plan he had made, and then fired a chaos wave at the warrior. He was sure that at this point, he had him, but the next thing that the boy did greatly surprised him, and to some point, shocked him. There was the boying, firing a chaos wave of his own, exactly the same, except different colors, adn ti was even bigger! Kiddich stood shocked for a second while firing his chaos wave, and decided to push harder, and try to beat this boy's own chaos wave, but it didn't seem to be doing alot of good. They were almost even, but the boy's was stronger, and, he seemed to not be using as much force as Kiddich, and that's when he kicked it up a notch. He put more force into it, and used more Ki, and it seemed that he was beginning to win this little chaos wave war. The boy had not yet done anything, because it seemed he was waiting to see waht Kiddich himself was going to do. Kiddich eventually made his chaos wave as big, and powerful as the boy's and and tried to beat him. They Saiyan had seemed slightly angered at how skilled Kazuya was. He chuckled a bit, and then finally saw what he was gong to do. He put more force into his chaos wave, and then made it as big, and strong as Kazuya's. Kazuya was slightly amused by this Saiyan. He was from a warrior race, and was supose to be strong, and ruthless, but here he was, being outmatched by an Iseijin, who was by the way actually younger than him. Kazuya spoke for the first time, adn decided to ridicule the Saiyan a bit for his own enjoyment. He was having a bit of fun, toying around with this Saiyan, who seemed to be getting frustrated just a little. It would seem, Saiyan, that you are being outmatched, and have to use more power, and Ki, while I on the other hand, haven't broken a sweat, nor trying very hard at all, and you can hardly keep up with me! Haha! Kazuya chuckled again, adn then decided to stop this this Chaos Wave warfare. He put a little effort into his Chaos Wave, and then stopped, and sued an Energy barrier to protect himself from the impact of the Saiyan's Chaos wave. Kazuya then used instant transmisison, and appeared behind the Saiyan. Tell me, Saiyan, do you know who I am, or where I come from? I doubt you do! he said. He then continued by saying I am Kazuya, of the Isejins, a warrior race! Tell me, what is your name!? Kazuya wanted to know who this Saiyan that he was fighting was. He was not sure why he wanted to know, but he asked anyway. He waited for a response from the Saiyan before he tooka action, and tried to end the fight. Kiddich's confidence soon shattered as the warrior powered up his Chaos Wave, and the stopped, and used an Energy barrier to protect himself.It would seem, Saiyan, that you are being outmatched, and have to use more power, and Ki, while I on the other hand, haven't broken a sweat, nor trying very hard at all, and you can hardly keep up with me! Haha! This inferiated Kiddich. IT seemed that this boy was just toying with Kiddich, and he was getting frustrated, and angrier by the second. He didn't know what he was going to do with this boy, seeing as how he was so strong. He tried to figure out waht to do, but before he could, the boy disappeared, and reappeared behind him. Kiddich was instantly shocked, and surprised. Kiddich then heard the boy say Tell me, Saiyan, do you know who I am, or where I come from? I doubt you do! This comment had made Kiddich even agirier than he had been, becuase the truth was, he didn't know at all. The boy continued by saying I am Kazuya, of the Isejins, a warrior race! Tell me, what is your name!? Kazuya sighed as the the foolish Saiyan grew angrier, and more frustrated. it was beginning to blind him, and make him less of a fighter. He was losing control, and wasn't focusing anymore. Surprise spread across the Saiyan's face after Kazuya had told him that he was an Iseijin. He obviously must know a thing ro two about Iseijins! well, he isn't a complete idiot then. Kazuya thought to himself. My name is none of your business, and why you want to know, I have no clue, and I also don't know why you haven't finished me off but you are a fool! the saiyan had said. He then attempted to kick Kazuya in the chin after leaping into the air, and turning around, but the kick was easily dodged, as Kazuya just hopped back, and then charged at the Saiyan, and attmpeted to do an uppercut to the chin of the Saiyan. He was about to use his Iseijin Crusher move, and this Saiyan, getting overcome by emotions at the moment, seemed very vulnerable to the attack. After the upper cut, Kazuya would follow through with by grabbing the leg of the Saiyan, before he flew away, and then twirling him around like he was swinging a child around. Then he would let him go upward, and once he flew into the air, Kazuya would fire a Chaos Wave at the Saiyan, and then once the Saiyan was flying higher in the air, and about to come down, he would teleport in front of him, and clench both of his hands together, and hammer down upon the Saiyan as hard as he could, sending him flying back to the ground as a tremendous speed, and force, strong enough to make a small crater in the ground where he landed. He planned on ending this fight soon, and this attack would weaken up the Saiyan some more, and let Kazuya come in for the closer. This Saiyan obviously does not possess the ability to transform into a Super Saiyan, otherwise I'm sure he would have done it by now. Kiddich thought to himself. Kiddich heard Kazuya sigh, probably at Kiddich's performance. ARRRRRRRGHHH!!! WHY ARE YOU SO STRONG!? Kiddich screamed. He couldn't keep going on like this. Kazuya was making a fool of him. Kazuya had easily dodged Kiddich's atttempt to kick Kazuya, and all he had to do was step back, which he did, and made Kiddich look like a straight fool doing it. DARN IT ALL!!! WHY CAN"T I TOUCH YOU!?!? Kiddich yelled in anger. Kazuya didn't even seem to be trying, yet Kiddich was having a hard time fighting him. Kazuya hadn't even broken a sweat yet, but Kiddich was beginning to tire him self out with meanigless, useless attacks. He would tire himself out completely, and lose to Kazuya if he didn't get his act together, and focus. He knew he could win, he just wasnt going at him the right way. Kiddich knew that being an Iseijin, Kazuya was naturally stronger, and faster than Kiddich, because of the higher level of gravity that was on Isoja. Kiddich didn't have much time to think about what to do, because Kazuya was now charging at him, and attempted to uppercut him, which connected, and was about to send Kiddich flying. Blood flew from Kiddich's mouth, and trickled down his chin, and he was about to go flying from such a strong punch, but Kazuya had grabeed his leng, adn had begun to twirl him around, and then flung him into the air. Tch! Kiddich exclaimed What am I going to do?! Kiddich asked himself in his head. He had not time to answer himself this, ebcause suddenly, he was blasted in the back by a Chaos Wave from Kazuya, which messed up his Saiyan armor greatly, adn made scrathes, adn bruises, adn marks all over Kiddich's back, and there was blood all over him. Kiddich was in alot of pain after taking the ful force of th blast, but he relcutnatly stood upright, and was looking dead at Kazuya, when he teleported in front of him, adn tried to send him flying back down to the ground, but Kiddich was able to dodge to the side, and avoid the hit. He was slowly losing this fight, and soon, he could be dead, but he still had a chance. He focused, adn then activated his Saiyan Soul ability, and then charged at Kazuya, attempting to punch, and kick him in various places. Kiddich was as angry, and frustrated as he could get, pretty soon he would explode! He would not accept deafeat though, and he would keep fighting. Kazuya had smirked at Kiddich's two shouts to Kazuya, ARRRRRRRGHHH!!! WHY ARE YOU SO STRONG! ?, and DARN IT ALL!!! WHY CAN"T I TOUCH YOU!?!?. It had even made Kazuya chuckle a little before he attacked Kiddich. He had been successful in connecting with the uppercut, adn saw blood fly from Kiddich's mouth, and more blood go down his chin. He had also been successful in going along with the rest of his Iseijin Chrusher attack, even the part with the Chaos Wave, which badly damaged Kiddich, and his Saiyan armor, all up until the end of the attack, where he tried to hammer down on Kiddich with both fists clenched together, which Kiddich was just barely able to dodge right in the nick of time. Kazuya was happy that he wasn't completely pummeling the Saiyan, but he still was not putting up much of a fight, and didn't seem to be a force to be reckoned with at all, but he wasn't going to let his guard down. One slip up could cost him the fight. Kazuya watched Kiddich as he stopped for second, and then seemed to be trying to calm down, and focus, but it didn't seem easy, and then Kazuya felt Kiddich's power level increase, and figured it might have increased by almost a thousand, but it still wasn't enough to beat Kazuya. Or at least he thought so. Kiddich charged at Kazuya at a highly increased speed. kazuya was able to keep up with him though, but now, Kiddich was making him work. Kazuya had to put effort into it in orer to keep up with Kiddich, but he managed. Kiddich had been throwing many blows, punches, and kicks. Kazuya was matching him blow for blow, both fighters, rapidly throwing blows, moving quickly across the area they were, without even knowing it. They were almost evenly matched, but Kazuya managed to get in a few extre punches in every now, and again. They were both using incredible pwoer, and speed, but it seemed to be worse for Kiddich, because of his wounds. Calm down Saiyan. At this rate, you will tire yourself out, and quickly lose this fight. You already are hurt, and needed to power up as much as you could juat to keep up with me. Kazuya said to Kiddich. He was making a mockery of this Saiyan, and he wasn't even fighting at full power. Kiddich didn't have alot of fight left in him, adn he was wearing himself out through frustration, anger, and hate. He was mad at himself for not being able to beat Kzuya, he was mad at Kazuya for being so strong, he was frustrated that he was not nearly a match for Kazuya, and he would hardly lay a finger on him. Kazuya had watched Kiddich before he charged, and activated his Saiyan Soul ability, and then charged at him. Kiddich had been throwing punches, and kicks left, and right, but it seemed to be to no avail. Kazuya was matching him blow for blow, and was also getting in a few extra hits in at Kiddich. He as outraged about this whole ordeal, and felt like he was going to explode from rage before he died. The wounds on his back were hurting him, and so were the blows he was receiving from Kazuya. Kiddich was about to scream in anger, and attack even more vicously, but then Kazuya said something. Calm down Saiyan. At this rate, you will tire yourself out, and quickly lose this fight. You already are hurt, and needed to power up as much as you could just to keep up with me. Kiddich had been mocked, and ridiculed for the last time. He was not going to let this Iseijin beat him, and make him look like a complete fool! That was it. That had done it. Kiddich couldn't take it anymore. He backed away from Kazuya, an then charged up as much as he could, rocks floating off the ground, the air around him changing, adn the ground below shaking. An aura of Red, and black Ki energy surrounded him as he charged up, and screamed with rage. HAAAAAAAAAAAAAAAH!!!!! HUWOOOOOOOOHHH!!!!!! HAAAAAAA!!!!!!!!!!! Rage consumed Kiddich, and then energy, and power surged through him. Kiddich's hair floated up, and down, and it flickered between black, and gold. The transformation was happening. Kiddich was becoming a Super Saiyan! The aura around him turned to a golden color, and he felt extremely powerful. His wounds didn't hurt him as much as before, really not at all, and he felt his power level increase dramatically, and it felt stronger than Kazuya's! He definitely knew now that he still had a chance to win this battle. That was, unless, Kazuya had the ability to transform into a Super Iseijin, but Kiddich didn't think that he could. Kiddich sped towards Kazuya at an incredible speed, and then attempted to to strike him as hard as he could with a right handed haymaker, and then send him flying back to the ground with the same move he had tried on him. He would then fire a super charged Chaos Wave at Kazuya, and hopefully end this fight. Kiddich felt very good about himself now, and cockier, adn prouder than ever of himself. He had accomplished one of his life long dreams, becoming a Super Saiyan, and now, he was going to kill this Iseijin with his new power. He knew that this would be the end. This would decide it all. If Kiddich didn't win the fight with this attack, then it would be over for him, and he would surely lose the fight. He didn't want to admit it but he knew that it would be true. DIE, ISEIJIN!! Kiddich screamed as he approached Kazuya. Kazuya's last comment seemed to have finally pushed the the Saiyan backed away from Kazuya, and then charged up as much as he could, rocks floating off the ground, the air around him changing, adn the ground below shaking. An aura of Red, and black Ki energy surrounded him as he charged up, and screamed with rage. 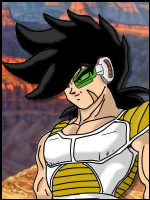 Kazuya watched as the saiyan powered up, highly amused, feeling his power level increase every second, getting closer, and closer to Kazuya's, adn then it seemd it was going to pass it eventually, and the Saiyan screamed as he charged. HAAAAAAAAAAAAAAAH!!!!! HUWOOOOOOOOHHH!!!!!! AAAAAAA!!!!!!!!!!! Anger, and frustration seemed to have finally gotten the best of the Saiyan, and then Kazuya realized something. The Saiyan was transforming into a Super Saiyan. His eyes turned into a ligh green/blue color, and his hair spiked up, and turned a golden color, and they aura of energy that surrounded him also turned a gold color. Kazuya anticipatingly watched the Saiyan finish his little show, and achieve the Super Saiyan form. The Saiyan then sped towards Kazuya at an incredible speed, and tried to hit him with a powerful haymaker, adn it connected, and then he sent him flying towards the ground with the same move that he had earlier attempted himself. Kazuya went hurtling into the ground, and then instead of smashing into the ground, was able to put himself upright, and landed on his feet. he quickly powered up to full power, using his Spirit of the Iseijin ability, and then fired a super charged Chaos Wave, while the Super Saiyan fired one of his own. The two warriors were once again in a Chaos Wave warfare, and appeared to be evenly matched. Not bad, Saiyan. It would seemed that we are evenly matched. Kazuya said to the Saiyan over the roar of the two chaos waves colliding. He pushed as hard as he could, and as did the Super Saiyan, and then, in the middle of the two warriors, there was a huge explosion of Ki energy, and dust, and rocks. It knocked Kazuya into the ground, and made him make a small crater, but he was unsure about what happened to the Saiyan, but he was sure the same thing had happened to him. Kazuya had seemed amused about Kiddich's transforming into a Super Saiyan. Kiddich didn't know if Kazuya was actually amused, or if he was scared out of his mind. Either way, Kiddich didn't care. After he had charged twoards Kazuya, he had been successful in hitting him with the haymaker, having caught Kazuya off guard, and then was also successful in sending him flying to the ground with the attack Kazuya himself had earlier tried to use on Kiddich. It seemed like Kazuya was going to smash into the ground, but infortuneately for Kiddich, Kazuya had ben able to turn right side up, and landed on his feet. Kazuya had then charged up to his max power, and seemed to have activated some sort of Iseijin ability to make himself stronger. Kiddich then fired a super charged chaos wave at Kazuya with all of his might, adn planned to end the battle with this final attack. If he didn't succeed, it would all be over, adn he could possibly be killed, even in his Super Saiyan form. Kiddich was shocked when Kazuya fired a super charged Chaos Wave of his own, and the two warriors were once again pushing each other, trying to beat the other's Chaos Wave, and pushing as hard as they could in a Chaos Wave warfare. They were botht trying with all of their might when suddenly, adn explosion of Ki energy, and dust and rock exploded in between them, knocking them both back, Kazuy having been blown onto the ground, adn Kiddich into a nearby rock formation, adn then falling onto the ground. Both fighters were now badly damaged, adn it didn't seem that either could continue the fight. Kiddich exited his Super Saiyan form, to drained to hold on, and it seemed Kazuya had done the same with whatever power up he used. H..How? How is it possible for someone to be so, strong? Kiddich said allowed. he didn't know how it was possible, but he kenw this fight was over, and he vowed that he would grow stronger, and would once again challenge this Kazuya. He slowly crawled away, and with all of the strength he had left, flew back to a hidden base he had on Earth. He treated his wounds, and fell asleep, swearing vengeance against Kazuya. Once the smoke, and dust cleared, Kazuya saw that the Saiyan had exited his Super Saiyan form, adn was also badly damaged, and could not longer continue. Kazuya made no attempt to do anything when the Saiyn used the rest of his strength to get up, and fly away, after mumbling something to himslef, but Kazuya could quite make out what it was, but he didn't care anyway. This battle was over, and neither warrior had one, nor had either of them lost, but they both did gain. 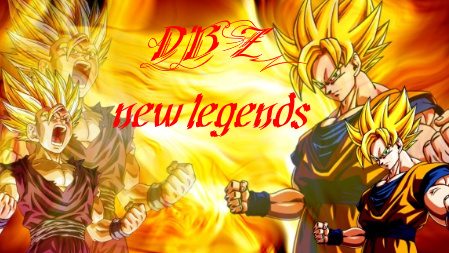 They gained knowledge of a new fighter, of whom they one day wanted to surpass at any means neccessary. Kazuya felt almost completely drained of all his strength, and energy, and decided that he too would try to get up, and fly away, get back home, and treat his wounds. He did do this, but he did not go home, he went to a hospital in the city, and after seeing his shape, they gave him immediate medical attention, and began treating his wounds. He ended up spending a week in the hospital, before they let him go, an all of his wounds weren't completely healed, but they were good enough. After being release, Kazuya returned to his home that he had set up for himself when he had arrived on Earth. He wanted to train, in order to become stronger, and one day challenge that Saiyan again, but he still felt too drained of all of his energy, but he had a feeling that they would meet again, and Kazuya promised himself that he would win the next time he, and they Saiyan fought. or rather the Kiddich me. Subject: Re: SSJ Training <P> Invite only.